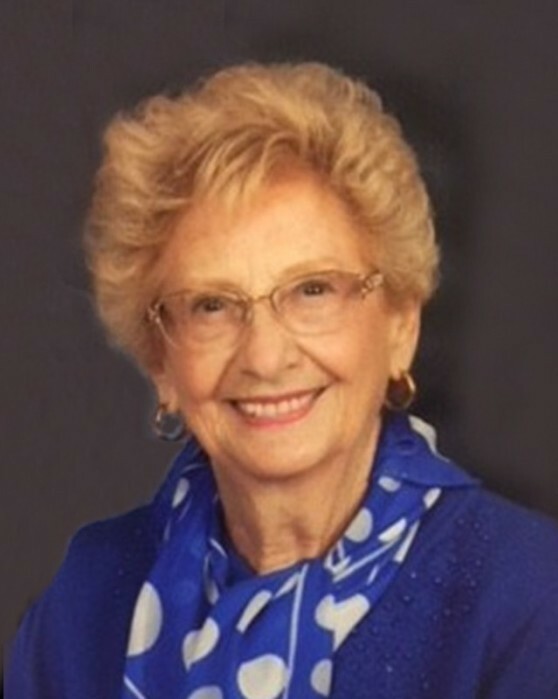 Virginia Columbia Mills, 88, of Harlingen, TX passed away peacefully October 17, 2018. Virginia was born in Butler, PA on Oct. 12, 1930 to the late Luigi and Antonia Volpe Tucci. Before moving to Harlingen in 1955, she married William D. Mills. They were happily married for 63 years. Known by her family and friends as Ginny, she balanced her professional and family lives. Ginny was the Director of Volunteers at Valley Baptist Medical Center. She was active in the Catholic Church and her community. Her greatest enjoyment was spending time with her family, her faith and selflessly giving to others. Her beautiful smile, kind heart and gracious spirit will always be remembered. Virginia is survived by the love of her life and husband, William (Bill) Mills; son, David Mills; grandson, Dakota Mills; and great-grandson, Mickey Mills, all of La Vernia, TX; daughter, Tracy Mussey and husband Travis of Dripping Springs, TX. Additionally, Virginia is survived by her brother, George (Mary) Tucci of Grove City, PA; her sisters, Ann Bogusky and Leona Wladika, both of Butler, PA; and numerous nieces and nephews. Virginia was preceded in death by her parents; four brothers and four sisters. A celebration of life will take place at 3 pm Sunday, Oct. 28, 2018 at Sunshine Country Club Estates, Retzlaff Hall, 1953 W. Michigan Dr., Harlingen. Long-time friend, Chaplin Joe G. Jaime will officiate. Donations can be made to American Heart Association and St. Jude Children’s Research Hospital.